The Kerr Centrifico is a “broken-arm” centrifugal casting machine. Typically used for casting lost-wax investment molds, centrifugal casting can produce very detailed pieces in pewter, silver, gold, and a variety of casting alloys. This particular machine has been adapted to accept 3.5″ diameter flasks of 4″ height. Learn how to do lost-wax centrifugal casting in our checkout class, which is required in order to use this machine. 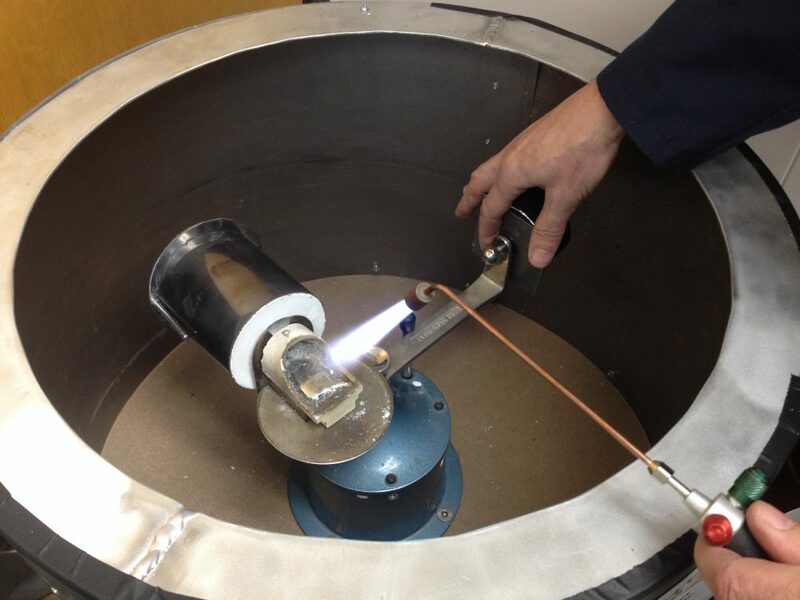 The oxy-acetylene torch class is required in order to melt the metal for this machine.